Dr. Faiza Dossa is a graduate of the New England College of Optometry in Boston, MA and earned her B.S in Psychobiology from the State University of New York at Binghamton. Prior to becoming a solo practicing optometrist in Berkeley, she worked along side a team of physicians at a leading ophthalmology practice in Oakland for over six years. She has diverse clinical training in primary eye care and specialties such as contact lenses and binocular vision disorders. ​She is highly skilled in fitting soft, multifocal, and RGP (rigid gas permeable) lenses, and a wide array of custom contact lens designs for patients with irregular and high astigmatism. She is a volunteer for VSP Mobile Eye Clinics, local children's school screenings and abroad as a member of VOSH (Volunteer Optometric Services to Humanity). She is a proud supporter of Seva Foundation and other such programs in their global efforts to eradicate preventable blindness in underprivileged communities. She is very passionate about looking after her patients and providing the highest level of optometric care. She greatly values the connection she makes with every one of her patients. Balvinder (Bal) Bamrah is our resident Optician and Office Manager at Lunettes du Monde Optometry. She grew up in Nairobi, Kenya. She was educated in London and migrated to the US 20 years ago. She has over two decades of experience in the optical industry. If you find it difficult to find frames that look great on you, ask Bal. She’s an expert at choosing just the right shape and color that will flatter you and accommodate your prescription. Bal is dedicated to customer service, focused on the best care for our patients. 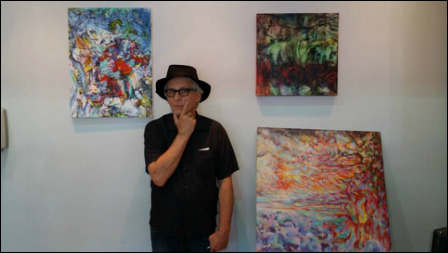 Bill Cushman is a highly skilled optician, gifted artist and musician all in one. He has been a practicing optician for over 20 years and greatly enjoys styling and fitting the very eclectic and artfully crafted frames at Lunettes du Monde. In his spare time, he enjoys abstract painting, and both writing and recording music. ​You're likely to be mesmerized by Bill's colorful, enigmatic pieces of art that adorn the Practice's walls and frame cases.